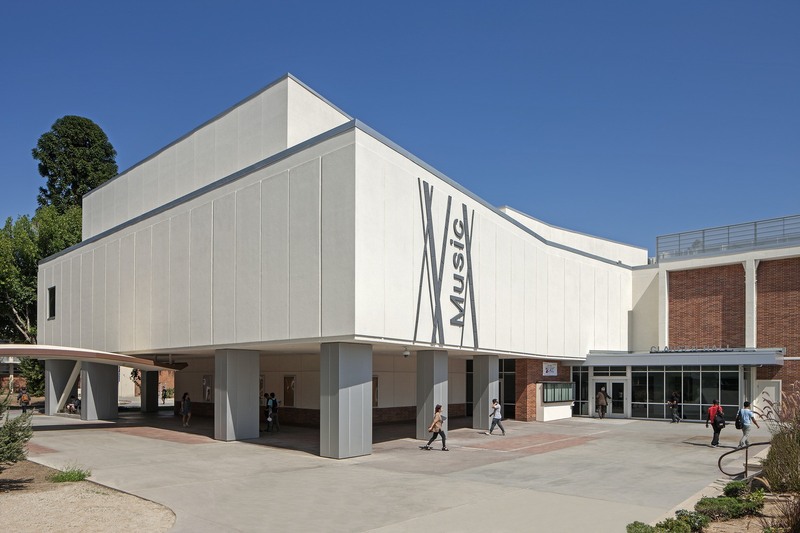 Built in 1962, Clausen Hall is a two-story, concrete-frame building prominently located at the southeast corner of the Los Angeles City College campus. 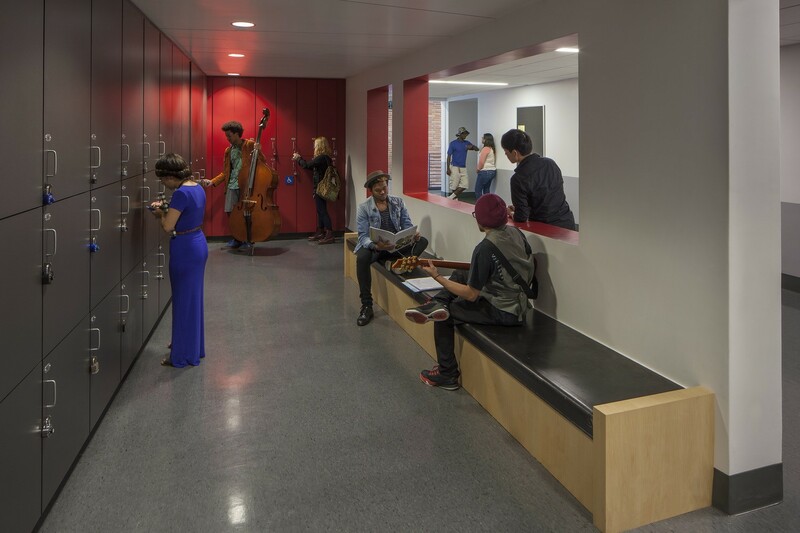 HGA directed a complete modernization and systems upgrade to consolidate and expand the college’s popular Music Department while creating a visually striking campus entrance. 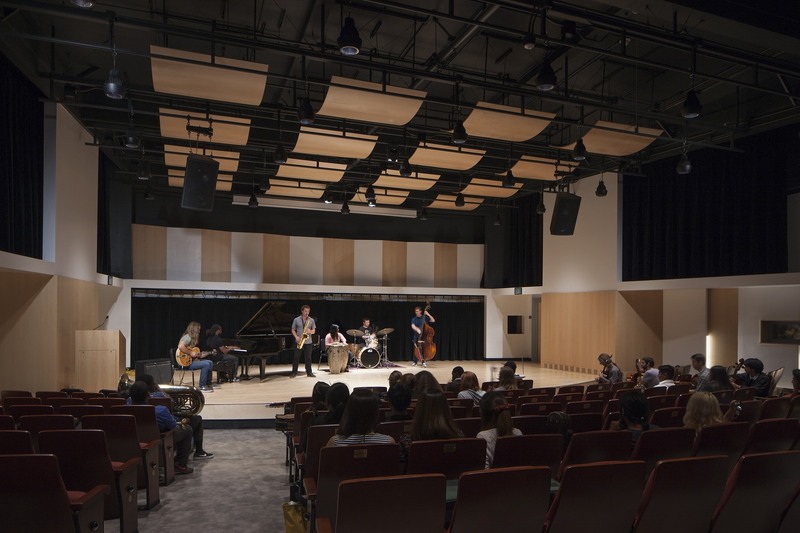 The 60,000-SF renovation includes a 150-seat lecture hall, 190-seat expanded recital hall, 11 classrooms, 38 practice rooms, acoustical adjustments, and mechanical upgrades. 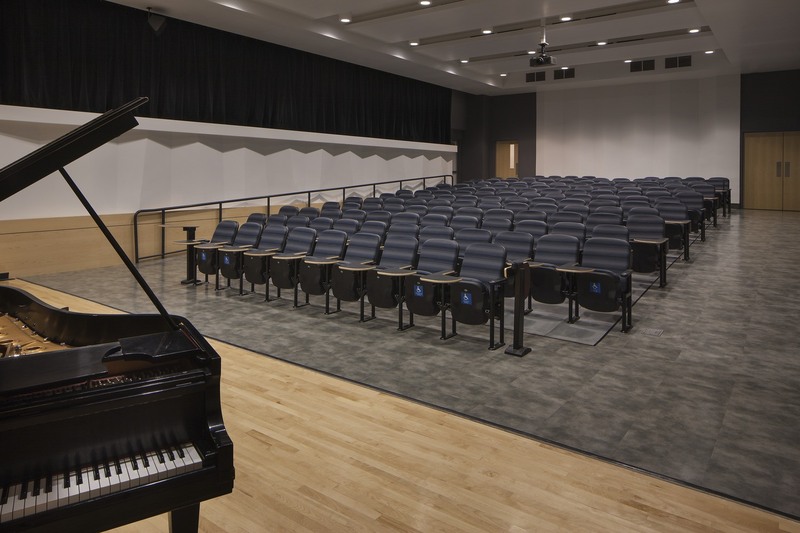 Exterior renovations update hard surfaces and windows while adding branded graphic elements that reflect the building’s Music function. 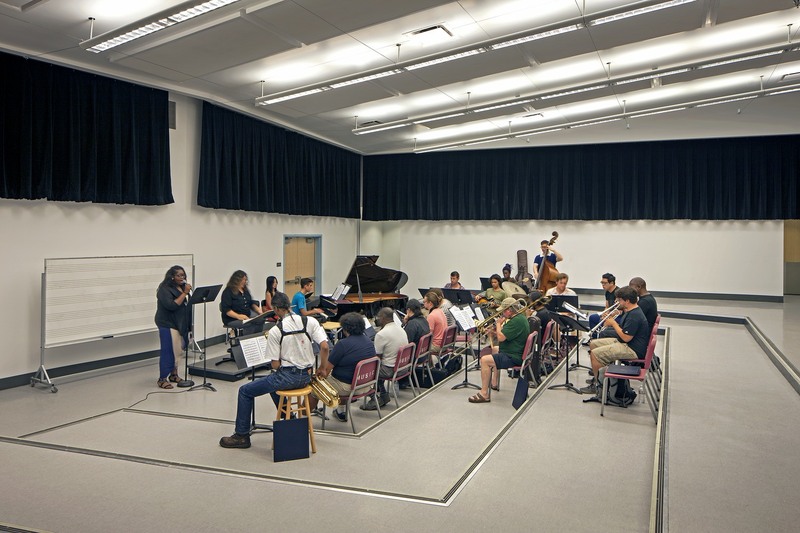 Interior renovations realign existing spaces, upgrade finishes, add student break-out spaces, improve practice, and rehearsal rooms, and add display cases in common areas.